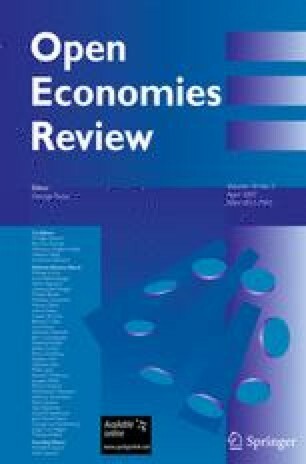 This paper compares the importance of precautionary and mercantilist motives in the hoarding of international reserves by developing countries. Overall, empirical results support precautionary motives; in particular, a more liberal capital account regime increases international reserves. Theoretically, large precautionary demand for international reserves arises as a self-insurance to avoid costly liquidation of long-term projects when the economy is susceptible to sudden stops. The welfare gain from the optimal management of international reserves is of a first-order magnitude, reducing the welfare cost of liquidity shocks from a first-order to a second-order magnitude. We thank Hali Edison for sharing the data, and Aleksandra Markovic for research assistance in the earlier phase of the project. We thank Michael Dooley, Ann Harrison, Linda Goldberg, Pierre-Olivier Gourinchas, Maury Obstfled, Brian Pinto, Ramkishen Rajan, Andy Rose, Partha Sen, George Tavlas, Tom Willett and participants in the SERC conference (Singapore 2005), Berkeley seminar, and the FRBSF conference for their useful comments. The views expressed in this paper are those of the authors and do not necessarily represent those of the IMF or IMF policy. The sources of data are the International Financial Statistics and the World Economic Outlook Database (both the IMF), World Development Indicator (World Bank), and Penn World Table. international reserves holdings minus gold, measured in U.S. dollars. ratio of reserves to the dollar value of nominal GDP, in percent. three-year moving average of the growth rate of real exports (log change), lagged two years in the regression. exchange rate volatility, calculated from the monthly exchange rate against the U.S. dollar. log of per-capita real GDP, PPP based. Income of each country relative to that of the United States. national price levels (measured in U.S. dollars), obtained from the Penn World Table and the World Development Indicator. residual from the regression of Price Level on Relative Income. Index of capital account liberalization, constructed by Edwards (2005). log of the terms of trade index. dummy variable for the period after the Mexico crisis, applied to developing and emerging market countries. dummy variable for the period after the Asian crisis, applied to developing and emerging market countries. Regressions of Tables 2, 3, and 4 all include country-specific constant terms. The primary sample for Table 2 comprises 49 countries that include advanced and emerging-market economies as well as several major developing economies. They are Australia, Austria, Belgium, Canada, Denmark, Finland, France, Germany, Greece, Iceland, Ireland, Italy, Japan, Netherlands, New Zealand, Norway, Portugal, Spain, Sweden, Switzerland, United Kingdom, United States, Cyprus, Israel, Korea, Argentina, Brazil, Chile, Colombia, Czech Republic, Hungary, Indonesia, Malaysia, Mexico, Pakistan, Peru, Philippines, Poland, Russia, South Africa, Thailand, Turkey, Venezuela, Algeria, China, Croatia, Egypt, India, and Morocco. Four countries were not included in the above sample of 49 countries for varying reasons. Luxembourg and Taiwan Province of China were excluded owing to the absence of capital account liberalization indexes. They were included in Table 3, and the first column of Table 1. Hong Kong SAR and Singapore were excluded because their reserves exceeded 40 and 80% of GDP in many sample years, respectively, constituting outliers that spuriously improve the fit of the regressions. They were included in Table 4 and the second column of Table 1.